Enter to win 2012 Wilson ProStaff, Head, Babolat, or Donnay tennis racquet! You are here: Home / Announcements / Enter to win a 2012 Wilson PS Six.One, 2012 YouTek IG, 2012 Babolat PureDrive, or 2012 Donnay! 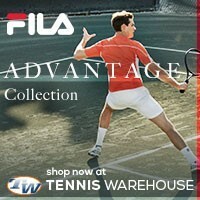 Enter to win a 2012 Wilson PS Six.One, 2012 YouTek IG, 2012 Babolat PureDrive, or 2012 Donnay! THIS CONTEST IS OVER. A WINNER HAS BEEN SELECTED, THANK YOU TO ALL WHO ENTERED. You read the headline right! 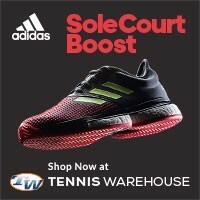 If you have been following Tennisthis.com at all for the last year, you know that I like to do contests and giveaways during the majors and now that the 2012 Australian Open is about to start, I’m doing it once again! 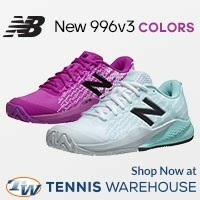 This time though, since new tennis equipment is being released soon, I’m doing my biggest giveaway EVER! I know, I can’t believe that I’m actually going to give away a brand new tennis racquet! I must really love you people. Here’s the deal about entering, first sign up for my e-newsletter (it’s a double opt-in so you have to confirm your subscription through an email link…check your spam), then come back to this post and leave a comment about your favorite Australian Open (from any year) moment and which free tennis racquet you would want, and finally spread the word…post it to your facebook, twitter, linkedin, email, or whatever you do to communicate with the world. Here’s the most important part, I am giving away only one tennis racquet! Entries close at the end of the 2012 Australian Open tennis tournament (after men’s final on January 29, 2012). Winning will be picked at random, if winner does not respond to winning email within 48 hours of email, a new winner will be selected. No purchase necessary. I will contact the winner privately to get the details of shipping and all that jazz (private information will not be posted on site), winner must also be willing to send me a picture of his or her winnings. 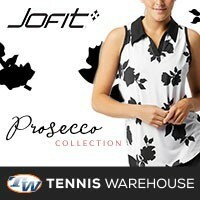 Good luck and have a wonder time watching the 2012 Australian Open! Hei am I late for the contest?? That is alright. I just like to post something that really been memorable of Aussie Open 2012. The game was berdych vs Almagro, the no shake hand thing. And also the game that Federer vs Dr Ivo karlovic. Such a shame for having Roger out!! I’m currently playing a Wilson BLX Six One tour 90 (2009), I’d love playing the new 2012 model!! As tempting as the Wilson Prostaff is, I’ll go with the Babolat PureDrive. Fav Aus Opem moment was when Serena Williams (underdog) trashed everyone including Maria Sharapova in the Finals, ranked at 80, finished up as Champion. Simply amazing. Oh my, I’m such a tennis addict and love viewing all of the Opens. I can’t commit to a favorite moment, but while watching I tend to side with the under dog. Nothing like a good upset too! My favorite players are Federer, Clijster, Monfils (acrobat), Sam Stoser, Sciavone, and I have to say…my dear dad who was playing and running on the courts at 93 yrs. old. If he were still around, I’m sure he and I would be cheering together for Roger to win Australian Open 2012!!! As for a favorite raquet- I tend to like the light weight ones-I’m a member of the Wilson fan club. THANK YOU AGAIN for your honest opinions and research, good reading style, true entertainment, and the terrific site. I would say the my favorite moment would be the run that Lleyton Hewitt made this year it was inspiring. Any preference on the tennis racquet? blx prostaff 6 or that puredrive is looking. this years 2012 australian open woot woot lets go nadal its about time you defeted djokovic in the main event the finals. He still has to get there…he’s got Roger in the way. federer’s 16th grand slam, the game against murray. hopefully this time with his new WILSON BLX PRO STAFF 6.1 90, he will will his 17th grand slam. My favourite moment was Hewitt winning the fourth set against Djokovic last night, he is a true Aussie sports hero and showed that he will never stop fighting. Unfortunately Djokovic is all class at the moment. I would like the 2012 Babolat puredrive Roddick please. My favorite moment was watching Tsonga and Monfils play! I think the best moment was AO 2008 2nd round, federer vs fabrice santoro. That was fun and interesting game. The genius vs the magician. I think the best AO was AO 2008, second round Federer vs Fabrice Santoro. The genius vs the magician. That was one fun and interesting game. 2002 Open Monica Seles vs Martina Hingis in the semifinals, then Capriati over Hingis in the final. That semifinal was amazing. Babolat Roddick Pure Drive! I watch some of the australian open every year I don't have a favorite, its all great. 2005 semis Sharapova vs. Williams my two favorites at their prime! I would love the Babolat pure drive. Favorite Australian open moment is also a recent one (2012). Federer’s tweener against Kudryavtsev. So effortless, so casual, so Federer. If you choose me I’d go for the new babolat pure drive. Thanks! I am big fan of Federer, i think the best moment was AO 2009. Federer vs Nadal final. Even Fed lost, but it really showed what Grand Slam all about. With federer passion of tennis and Nadal determination after played 5 hours semi against Verdasco. Wilson prostaff 90 would be great. I gotta say watching Dolgopolov last year was pretty fun. I like this years Aussie open hopin fisher comes out on top. I'd like the 4.Prince EXO3 Ignite 95.
or the 1.Babolat Pure Storm GT Racquet. hmmnnn I don't know if my favorite or hate it 😀 I'm federer fan but I like the game that novak and federer but too bad fed lost. Watching Tomic play Nadal in last years Aussie open, Tomic played amazing. I'd choose the Wilson blx Prostaff six one 90. Nadal vs Tsonga, Nadal looked baffled and Tsonga was on fire. Donnay Pro One. My favorite moment was Tsonga crushing Nadal in the semis back in 08. Great match. Also I wouldn't mind a Babolat PureDrive Roddick. That was a GREAT match! That was Tsongas’ strongest performance at a major (could be his year?)! Good luck with the contest…be sure to spread the word with your friends. Prestige Pro seems to be as good as ever.I am waiting. No favorite Australian Open memory?? My favorite moment is Roger Federer won beating Tsonga in the final, always loved Federers magic! I would like a Donnay Formula 100 if I win and thanks for a great site! hi! my favorite moment in Australien Open was when Stefan Edberg beat Mats wilander in the final 1985 – we had some great plyers back then:-) – i have played with pro staff from 87 but have had problem with my arm lately so i would go for the new pro staff 95 if i would win. Thanks for a good tennis site and good luck to you all and have a good 2012 tennisyear! Stefan Edberg is one of my favorite players. Love his serve and volley style. I was delighted to watch his exhibition match with Tsonga at this year Qatar Open. yes, Not many players that make tennis look so beautiful as Edberg did when he played – and he still looks good out there. and the racquet I choose in the 2012 Babolat Pure Drive. My best moment was Nadal Vs Verdasco 2009 great match!! That was a great match! I’m going to assume that you would want the Wilson BLX ProStaff Six.One 90, right? Come on Roger!!! Forever the Best!! I can’t say I have a favorite moment but the most recent tournament I remember is the 2010 Aussie Open. I just remember Federer cruising through the tournament with his effortless style and knew without a doubt he was gonna be the champ. BTW, he beat Murray in the final 6-3,6-4,7-6. Being a one-hand backhander, I love watching him and studying his form. Anyway, with all this talk about Fed, I’m pretty sure you’ve picked up that I am a big Federer fan. I’m gonna have to go with the Wilson PS 90. Having an older version, I can see why he chose this racquet. My favorite Australian Open moment was during the 2010 season when Murray played Cilic. It was so cool when Murray won the break point after hitting some crazy shots and then of course, his priceless reaction to it. I’d like the 2012 Wilson BLX ProStaff Six. One 95. Thanks! Good luck! 🙂 Don’t forget to share with your friends! Oh forgot to mention that I like the Wilson’s BLX Pro Staff 90. Thanks! Wish me luck! Hmmm….my favorite Australian Open moment will be that Roger Federer won his 17th Grand Slam title by beating Tsonga in the final in straight set: 6:0 6:1 7:6 (24:22). I like Tsonga and I think he can make it to the Australian Open this year, but I would love to see Federer make history again. :). Also, I REALLY hope to win the new Wilson’s BLX Pro Staff from you! :). Thanks for the giveaway! Good luck KS! Which ProStaff? 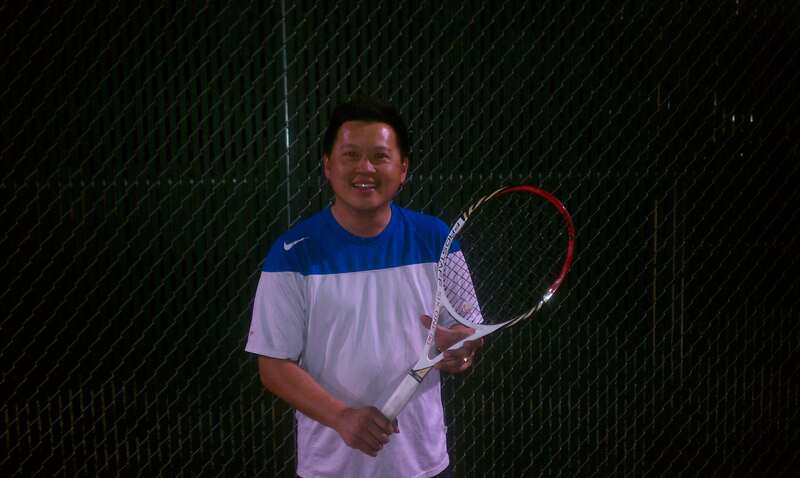 I predict Roger Federer with win the 2012 Australian Open and I pick the new Babolat 2012 Pure Drive racquet.